Dynamically Updating Statistics on all Databases, With Sweet Potato Fries. Sorry, I lied about the sweet potato fries. But this script will allow you to update statistics with options. Still interested? This is one of the steps of my customized maintenance plan to update statistics on all databases on a server. Overview of statistics in SQL Server, sample sizes and auto update information can be found on many sites. 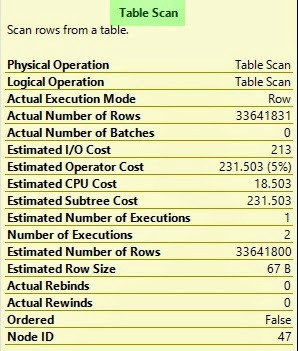 I like Grant Fritchey's article, SQL Server Statistics Questions We Were Too Shy to Ask. So the Auto Update stats will fire for every 500 + 20% change in table rows. 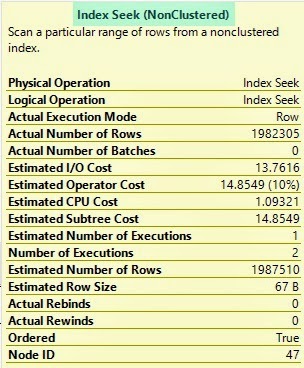 Of course, we have an improved algorithm in SQL 2012 which is SQRT(1000 * Table rows) which is much better. When it fires it will use the default sampling rate and here is the algorithm how it calculates the sampling rate. 1) If the table < 8MB then it updates the statistics with a fullscan. 2) If the table > 8MB, it follows an algorithm. It reduces the sampling rate as the number of rows in the table are increased to make sure we are not scanning too much data. This is not a fixed value but is under the control of optimizer. It is not a linear algorithm either. Example: if we have 1,000,000 rows it would use a sampling rate of 30% but when the number of rows increase to 8,000,000 it would reduce the sampling rate to 10%. These sampling rates are not under the DBAs control but optimizer decides it. I have time in my maintenance window to perform FULLSCAN instead of the standard sample, but you can change this to a sample percent size, or drop the "WITH FULLSCAN" in the script to use SQL Server standard sample size. I have defined a statistic as being "out of date" if RowModCtr / RowCnt is greater or equal to 2, so 2% of the row count changes, according to the "guesstimate" of RowModCtr. I say guesstimate because RowModCtr is not a true count of changes to the row, if you are using SQL 2005 or later (Books online). I also update statistics, regardless of how many changes to the table have occurred, for stats older than 30 days. You can change that time frame. Disclaimer: this script is based on one found on DBA Stack Exchange as it most closely fit my needs. Functions can allow you to encapsulate code and reuse complex statements. UDFs (user-defined functions) in SQL Server consist of scalar (return a single value) and table valued functions. You can think of user defined scalar functions just like system built-in functions (SUBSTRING, GETDATE, CHARINDEX) where they will return one value and, when applied to multiple rows, SQL Server will execute the function once for every row in the result set. Table valued functions can be similar, in functionality (see what I did there? ), to a stored procedure. Rather than executing the stored procedure to get a result, you can select from them, join them to other tables, and generally use them anywhere you would use a table. Awesome, right? If the TVF contains a single statement (called inline) then the optimizer will treat it similar to a view, in that it will reference the underlying objects in the execution plan. 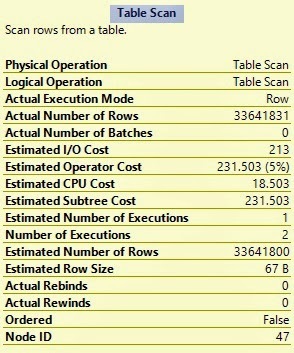 If the TVF contains multiple statements, the optimizer does not reference the underlying objects, and it treats the statements similar to a table variable, in that it cannot retrieve statistics and guesses the resulting row count of the TVF to be 1 (in SQL Server 2014 the new cardinality estimator increased the estimated row count to 100), which can cause huge performance issues. The best (and only, IMO) time to use TVF would be creating an inline TVF which is normally a single statement, but can be a complex single statement incorporating CTE’s. A multi-statement TVF would only be useful and performant if it is always expected to return a few rows (or in 2014, right around 100 rows) as the optimizer will make this assumption at compile time. One item to take note of with even better performing inline TVFs, the outer filter is applied after the TVF is executed. Ingest that statement for a minute. If you are calling the function on a join and filtering the original query significantly, this filter will be applied after you retrieve all the values from the TVF, which can obviously be a waste of valuable resources and time. Back to Basics TSQL: Declaring multiple variables in one line versus individual lines. I acknowledge that declaring multiple variables in one statement saves typing lines of code, and could save you a small (very small) amount of space in the database (if you add up thousands of stored procedures declaring variables in one statement versus on multiple lines). I know I go against the grain for code style preferences compared to developers I've come across, as I prefer declaring variables on their own lines. The main reason is so I don't have to search through, what can be, a long list of variables to find something. Preference. The End. I did want to determine how SQL Server processes the differences, internally. If there was a valid performance boost to declaring these in one line, then I could be swayed to change my preference. Declaring multiple variables all on one line. Declaring one variable per line. So, at least from my 5 minutes of testing, it appears as if SQL Server deems both statements as one batch. Which coding practice should you follow? Whichever one feels right to you, because as far as performance, SQL seems to not treat them differently. As a follow up to my previous post, here is the output of my various tests comparing the extraction only processing rates between SSIS and talend. This is a very unofficial benchmark testing in trying to determine if we should start focusing on Talend as an ETL tool over SSIS. As Talend boasts over 450+ connectors out of the box and is platform independent, it was worth a look. I did not expect for SSIS to outperform in all scenarios. I expected better integration and speed with MSFT products (Flat File to SQL Server), which is what SSIS was designed for and which performance meets my expectations. This is not an indication that Talend is or may be a poor solution, but in our environment, SSIS is the clear winner so far. To be completely fair, and if I'd had time, I would have installed Talend on linux and run similar tests, but we are a mostly MSFT shop so I went with what we have access to, locally. I'm being pretty vague, as the title states: unofficial benchmark. I attempted to ONLY have minimal processes running on both, etc. I also ran tests without connecting to SQL Server, i.e., local flat file to flat file ETL, small files, large files, etc., trying to vary the scenarios we may have at work. I am in the midst of comparing a few different architectural scenarios, one if which led me to test out the functionality of extracting data from Hortonworks (running on a local VirutalBox) using an SSIS Package and the Hive ODBC Driver 1.2. The goal is to be able to ingest nearly any data source, join it with internal metadata, aggregate and expose it to our users via our application (web based) and/or export slices back into any format customers may require. To determine the best ETL solution for our needs, we are comparing talend and SQL Server SSIS. This was after some thorough research into other solutions as well, but for our particular needs, these two options seemed viable. I like the ability of the talend Data Integration tool that comes with connectors to over 400 different data types, but to use it in an enterprise setting, with shared source control, we'd need to license it correctly which becomes costly as it's on a per-user subscription basis. The other alternative is to utilize tools that we are already paying for with our SQL Server licensing, Integration Services which I've been using since SQL Server 2005 (and before 2005 it was DTS). If you haven't already played with Hortonworks (which can be done on Windows if you need, easiest way is to download their Sandbox on VirtualBox), I thoroughly encourage you to do so. Their tutorials are extremely easy to follow. Technical disclosure: all of these pieces I'm testing initially are running on my laptop on Windows 7 Pro (64-bit) with 32GB RAM. I set the VirtualBox to use 8GB RAM. The goal would be to initially test the functionality and then create a working prototype to benchmark and fully test to make a final decision. One of the tutorials resulted in installing the Hortonworks ODBC 1.2 Driver (I installed the 32-bit for this test) to pull data into Excel. I then uploaded a test file into Hortonworks, HCatalog which consisted of a 16 column, approx. 48K row .csv file for my initial dataset. Next I'll be attempting to do a similar test in talend. I'll post the results of that one soon. Most times with software upgrades comes a few "oh, that's great I think I may be able to utilize that" going through my mind. When I read and dove deeper into SQL Server 2012's new feature, Columnstore Indexes, my heart actually started to race. It takes a true love of data warehouses to feel this way, but it's as if SQL Server answered some of my questions and frustrations over the past few years. These frustrations grew around dealing with TBs worth of data and how normal row indexes (normal custered and non-clustered indexes are actual row indexes) just were not optimized for VLDB optimized querying. "An xVelocity memory optimized columnstore index, groups and stores data for each column and then joins all the columns to complete the whole index. This differs from traditional indexes which group and store data for each row and then join all the rows to complete the whole index." The biggest difference is that data is grouped and stored one column at a time. The benefits are: because only the columns needed are read, this results in less disk reads, better compression, improved buffer pool usage (reducing I/O), and utilizes batch processing which reduces CPU. Wah? Yes! Wah? I'll say it again, YES! And yes, it works with table partitions. Of course, there are logical limitations to it, like the most important being the table must be Read Only. But, for normal data warehouse architecture, data is not transactional and is loaded at certain times, most normally once or maybe a few times a day. So dropping and recreating indexes are something most data warehouse engineers are familiar with, in detail. Or you can always implement partitions and then switch, as well as other options to get around the read only requirement. There are other limitations, which I encourage you to explore, as well as some gotchas. A fantastic, and thorough walk through of this new, exciting, feature in SQL Server 2012 can be found here: What's new in SQL Server 2012: Using the new Columnstore Index, it's a YouTube video by Kevin S. Goff. My hat's off to the SQL Server development team, warms my heart that you addressed the growing needs of us data warehouse minions. You need to be in the Site Owner group to make these changes. If you don't have the appropriate permissions, contact your SharePoint administrator to assist. Go to Site Contents, click on the discussion list name and in the ribbon click on List, then List Settings. Once in List Settings, click on Versioning Settings and make sure Create a version each time you edit is set to Yes. I typically do not require content approval for submitted items, but this is an option. It would not allow anything to show until one member of the Approval Members group approves the content. Once you click "OK" on the Versioning Settings screen, go into Advanced Settings. 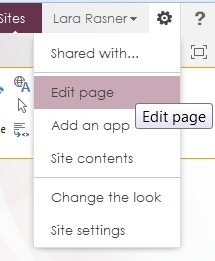 Under the Create and Edit access, select the "Create and edit all items" instead of the "...created by the user" like so, then be sure to click the OK button. Next, we're going to alter the Site Members contribute rights. Click on the Gear in the upper right hand corner and select Site Settings, then under Users and Permissions, select Site permissions. Check the box next to the [Site Name] Members name, and the "Edit User Permissions" option on the ribbon will become available. 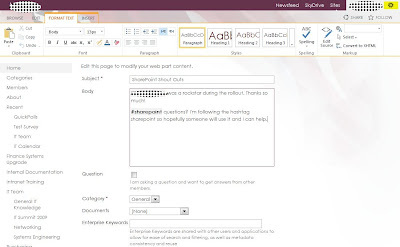 SharePoint 2013 - How to make the discussion edit window wider without altering the Master Pages. When creating or editing a discussion, the text field for the body of the discussion is way too narrow. Can it be changed? 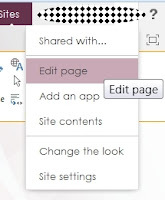 There are a few ways, the easiest is to implement JQuery in a web part on the page, that way no-one is mucking with the templates in SharePoint - which can be overwritten in patches, etc. This following way would need to be done at each site or sub-site as the editform.aspx is unique (copied from the site collection level once a site is created). Which means implementing this at one site will not affect this form on any other site. Note: You need design rights or site ownership rights in order to perform this modification. Go to the site you would like to implement this on. Go to a discussion, click the Ellipses (...) and then the Edit choice and you should see a layout similar to this where the "Body" textarea is fairly narrow. While migrating SSRS 2005 reports to a new SSRS 2008 server, I had to recreate the project in Visual Studio, add the data source and the .rdl files because my original project files became corrupted (long story). I saved a few .rdl files to the new folder, created a new and updated .rds (shared data source) and attempted to deploy to the new server, to a subfolder from the main reportserver folder. I was repeatedly prompted for my login. After some futzing around, I attempted to strip all the sub folder items out of the project properties and I found I could deploy to the main reportserver folder so I thought I'd take a screen shot of the correct configuration for future reference. What I had been doing is adding after /reportserver/[name of sub folder], where in reality you need to add that to the "TargetReportFolder" and also if you want your data source to be under that subfolder, update the "TargetDataSourceFolder" to the subfolder/data sources url as shown here. SQL DBA Best Practices - Why separate tempdb? I've had discussions with server/system architects attempting to justify not only separating the database and log files, but also the tempdb to separate disks. This is one of those that more applies to SQL Server 2008 and beyond. Did you know that tempdb not only stores temporary tables, but SQL Server also utilizes it for grouping and sorting operations, cursors, the version store supporting snapshot isolation level, and overflow for table variables? Hopefully knowing these other objects that can be highly utilized even if you do not believe your databases utilize a large amount of temporary objects will arm you with ammunition to vote for more and different physical disks for tempdb. Disk cost cannot dwarf the speed benefit you will have, especially in data warehouse situations where some BI solutions create very large temp tables to join on before returning results. I've used this script for years, not sure where I pilfered it from but putting this here for safekeeping. Ever find a MUCH easier way of doing things and just fell in LOVE with it? It was that way for me once I discovered table valued functions in SQL Server. From that moment on I saw everything as a function “hill” to climb. My happiest moment: turning a query which took over 90 seconds down to 3 seconds because of this discovery and a subsequent re-architecture of all database calls. Fast forward to… now… the OUTPUT clause. I know, I know, been around since SQL 2005 but until you wrap your head around it, create a new database or have time to re-architect something old, you can’t really get the implications until you incorporate it in a new database design. One call to a database to update or delete can not only save your data, but OUTPUT the data you want to save in another table for, oh I don’t know, change management, historical, CYA implications. Double duty – deleting (or updating or inserting for that matter) and saving whatever details from that statement into another table. Saving yourself either an additional call from the front end, or at the very least, an additional SQL statement. I've used this script for many, many years. I'm sure I borrowed the majority of it from a site. It comes in handy when I'm looking for all references of a particular column in a database. Honestly, I use this one several times a month, so putting it here for safekeeping.